Add minnow appeal to your soft plastic crappie jigs without the hassle of live bait. 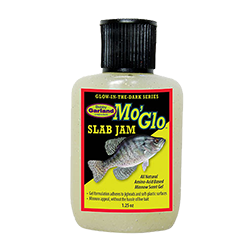 This new all natural amino-acid based minnow scent gel is formulated especially for crappie. Apply to bait joints and scent channels for long-lasting performance. Adheres to external surfaces too.